I’ll be honest, it’s looking like Halloween might be a lot of fun this year. See (there I go again)…the snacks and treats are going to be spectacular this year. Just check out this vision of a savory snack, Bloody Eyeball Nachos. It’s time to #RotelDareToDip so let’s do this. 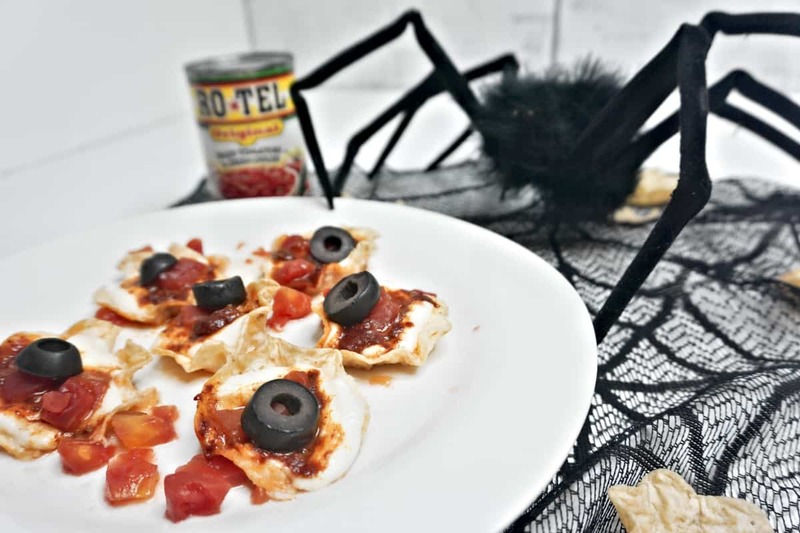 I know, I know, sooooo punny, but really, these Bloody Eyeball Nachos are about the easiest snack you’ll make for your Halloween shindig. Slapping a few ingredients together in a stack that results in an eyeball that’s just looking up the world at you from the pan? That’s priceless. Because, no matter how you plan, you almost NEVER have time to get everything together that you’d planned. 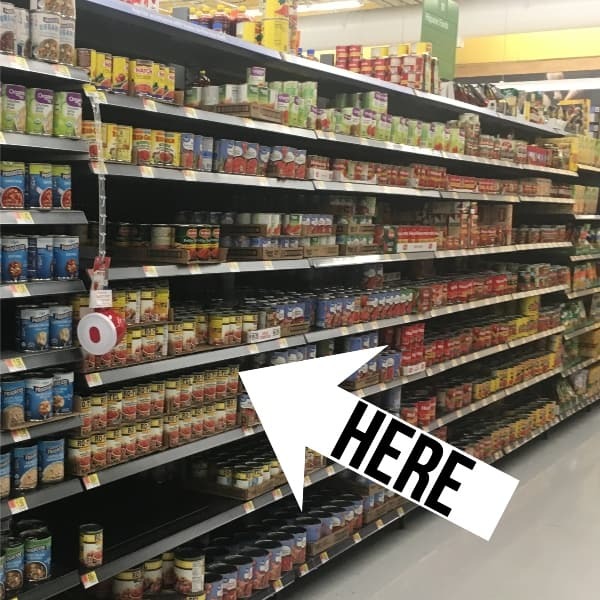 Even if it’s for a small party at your home or a school party, or even one of those bigger things where you’re just bringing a snack–there’s NEVER enough time. But, with this recipe, you’ve got plenty of time. And with RO*TEL, you have an easy way to add a little “kick” to any recipe–that way you’re bringing flavor even if your recipe is fast. And the Bloody Eyeball Nachos are definitely done in a blink. 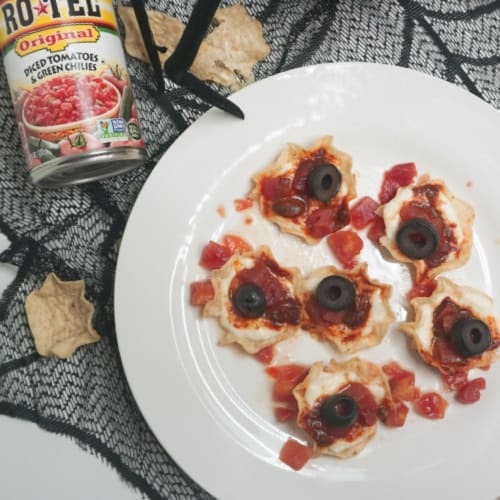 In just about 15 minutes, you have a snack ready for the crowds; and because it’s got a touch of RO*TEL, known for delivering bold, adventurous flavor, you can trust that everyone’s eyes will be bigger than their stomaches. 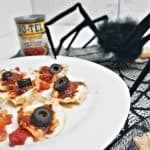 If you’re wanting some additional spooktacular Halloween inspiration from RO*TEL, check this out! 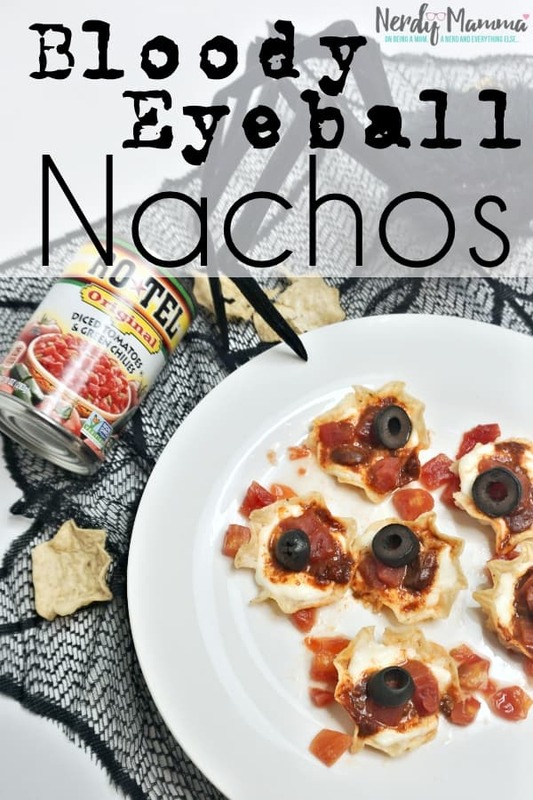 And, if you’re ready to roll with some Bloody Eyeball Nachos for yourself, click on the items below to shop! 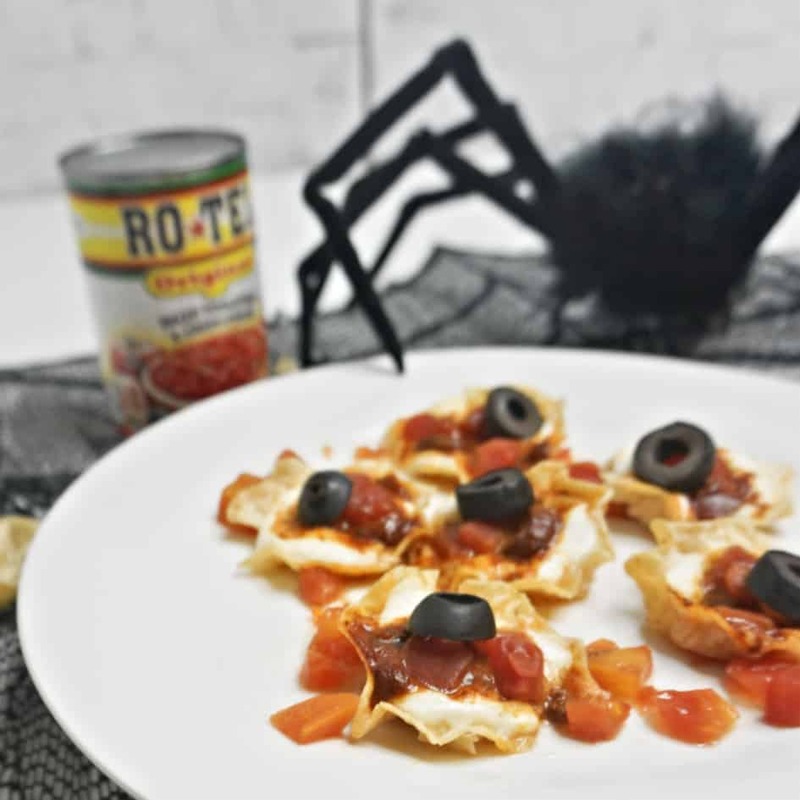 BUT, before you see yourself to the store, be sure to pin these Bloody Eyeball Nachos–they’re clearly something you’re going to make for your Halloween party. Clearly. 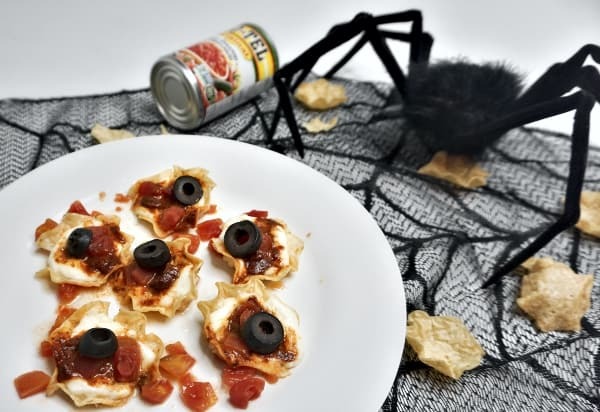 Check out this vision of a savory snack, Bloody Eyeball Nachos. Get your eyeful and then let's get ready to rock...It's time to #RotelDareToDip so let's do this. Set your scoop chips on a baking sheet, open side up. Using your thumb, create a depression in each of the mozzarella balls and place one in each chip. In the depression in the mozzarella balls, add a dollop of Wolf Brand Chili. On top of the dollop of chili, add a little spoonful of RO*TEL. Slice the ripe olives horizontally (2-3 slices for each olive). Add a slice of olive on top of the RO*TEL. Place in the oven for 10 minutes or until the mozzarella cheese starts to melt. Arrange on a plate with RO*TEL drizzled over the top and onto the plate.